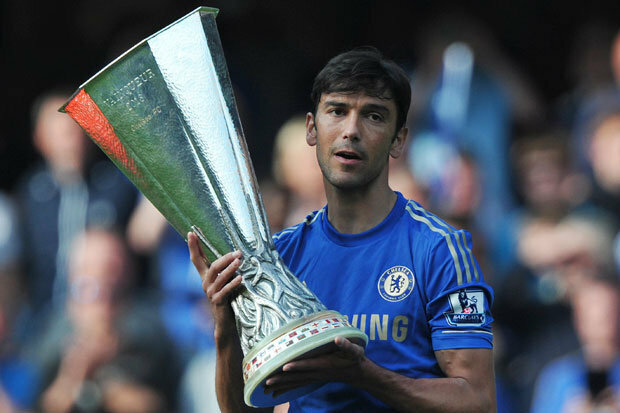 Paulo Ferreira is an attacking full-back for Portugal and Chelsea in the English Premier League. Paulo is equally adept on either side on defence, but made his name as a right-back. He can play in the centre of defence if necessary, but this doesn’t play to his main strengths – his fantastic passing ability, willingness to break forward, and above all else his reliable tackling. Paulo Ferreira followed Jose Mourinho to Chelsea in the summer of 2004. Jose had coached Paulo at Porto, and knew that he was worth every penny of his £17m valuation. Ferreira immediately became the first-choice right-back, and could be relied upon to do the job, and do it well. A wobble in his confidence saw Paulo struggling in some matches, in spite of the two Premier League titles he had won, and he found himself left on the sidelines below the likes of Boulharouz and Carvalho in the pecking order. Diarra and Essien, both midfielders, were also preferred above him. Ferreira was still and important member of the squad when he signed a new 5-year deal in February 2008, but a change of coaches and £13.5m later, he found himself as the reserve to new-boy Jose Bosingwa, who is also fighting Paulo for the Portugal right-back spot.